A Colombian soldier looks at a deforested land formerly used by drug traffickers for poppy plantations near the Huila department in southern Colombia. In Colombia, there are eight major areas of deforestation. 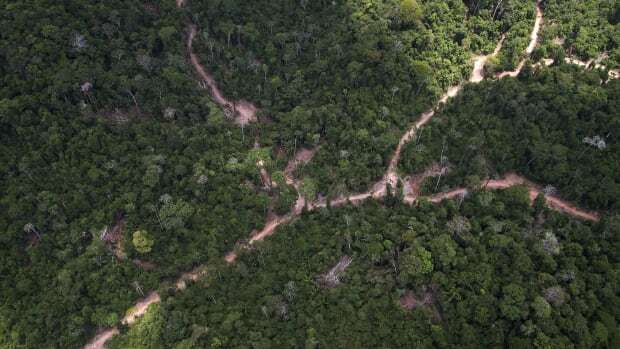 Chief among them is the department of Guaviare, where three of the eight deforested areas are located, according to Colombia&apos;s Institute of Hydrology, Meteorology, and Environmental Studies (IDEAM). All of Guaviare&apos;s municipalities are affected. Unlike the country&apos;s other deforestation hotspots, which have been reduced by up to 4 percent, the problem in Guaviare continues and even increases in comparison to IDEAM&apos;s measurements in 2016. 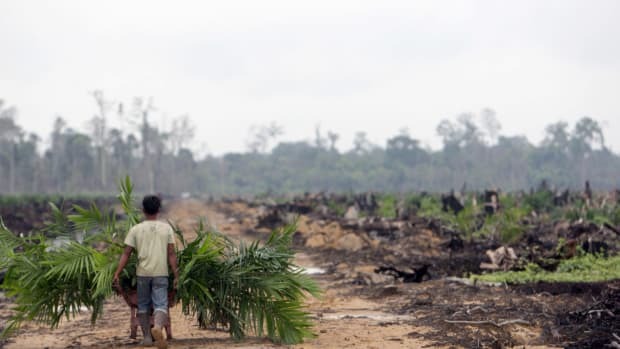 The increase in deforestation is due to road construction, the growth of the agricultural frontier, the practice of clearing of the forest and sowing the pastures for land speculation, and the cultivation of crops for illicit use. The first deforestation "hotspot" is located in the San José municipality, where the damage extends to and affects the Serranía de la Macarena National Natural Park. The second deforestation hotspot in the department of Guaviare puts the Unique Natural Area of Nukak at risk. This area is valued for its flora and fauna as well as its rich culture. The third hotspot is in northeastern San José del Guaviare, in range of the indigenous reservation of Nukak Maku, which today has fewer than 1,000 inhabitants. 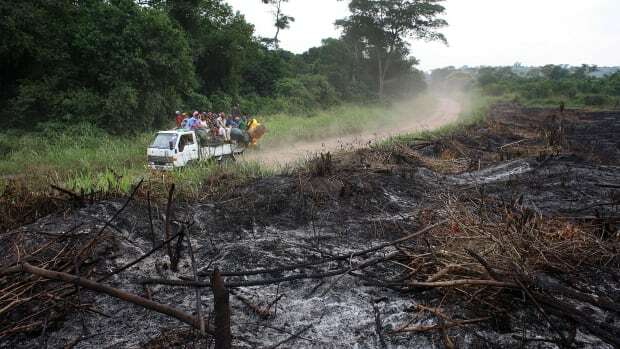 According to data from the Directorate of Carabineers and Rural Security of the National Police of Colombia, the area&apos;s Nukak Nature Reserve had 786 hectares affected by deforestation in 2011. 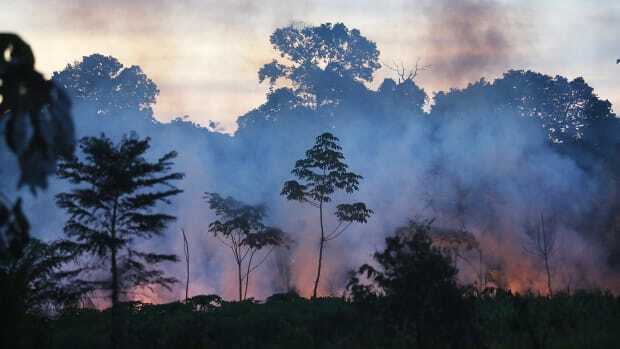 By 2015, the damage increased to 1,170 hectares, which is an increase of 49 percent. One of the causes of all this deforestation may be surprising, but is not necessarily a new phenomenon. 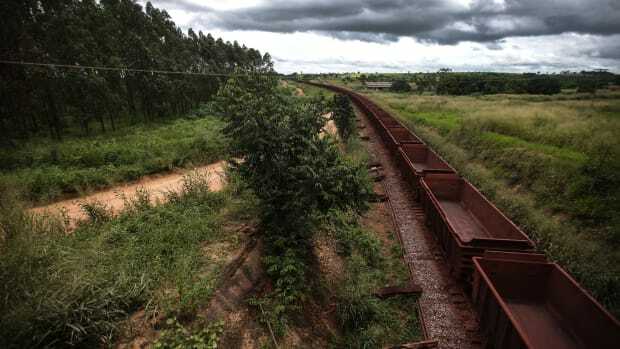 "In departments like Guaviare and Meta, there are organized groups on the fringes of the law who take advantage of the deforestation to exploit the region through illegal mining, and they expand drug trafficking pathways. Among them are dissidents from the FARC [Revolutionary Armed Forces of Colombia] and criminal gangs like The Gulf&apos;s Clan and Los Puntilleros," says Rodrigo González, director of Carabineers and Rural Security of the National Police. The Gulf&apos;s Clan, which mainly operates in the departments of Córdoba, Chocó, and Antioquia, has spread its influence to other regions of the country, including a large part of the Amazonian territory. Los Puntilleros emerged as a gang after the death of Martín Farfán, with the alias "Pijarvey," who ran the self-named Liberators of Vichada drug trafficking group, created after a disappearance within the United Self-Defenders of Colombia (AUC). The AUC was the largest paramilitary group in Colombia. At first, the group emerged mainly as an armed force against the guerrillas in rural areas used for ranching. The group, which was led by the Castaño brothers, was completely demobilized in August of 2006 in a peace process with then-president Álvaro Uribe Vélez. However, after its demobilization, some dissidents consolidated other small paramilitary groups, also called neo-paramilitary groups, including the Liberators of Vichada. 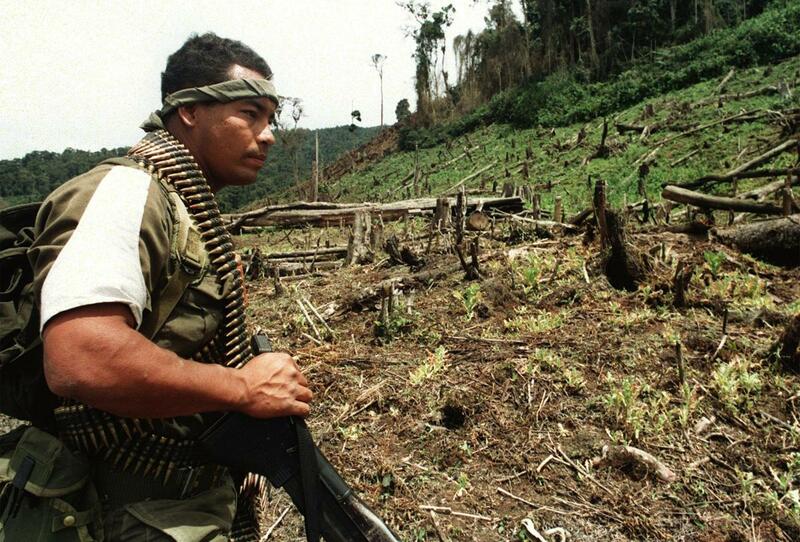 The Gulf&apos;s Clan, however, is the largest neo-paramilitary group in Colombia. They were previously known as Los Urabeños or Clan Úsuga. Their ringleader, Dairo Antonio Úsuga, with the alias Otoniel, is one of the Colombian police force&apos;s most-wanted people. These gangs have survived because of drug trafficking and have also deforested a large part of Guaviare in order to continue illicit coca cultivation, taking advantage of the fact that the jungle in the area is difficult to access. 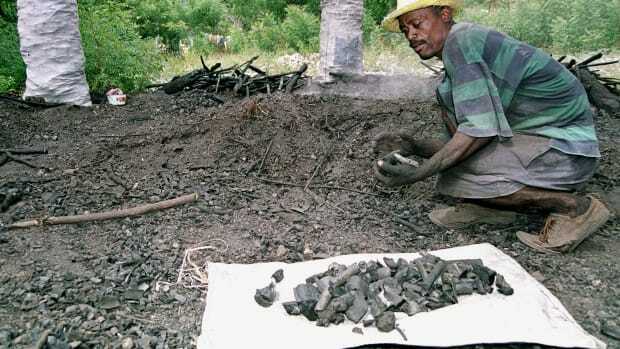 In fact, the number of hectares of coca planted in Guaviare grew from 3,851 in 2012 to 5,423 in 2015, according to the United Nations Office on Drugs and Crime. The deforestation of this jungle area has a large impact on the environment, especially with talk of climate change and the fact that one of the main strategies to mitigate its impact, in countries like Colombia, is to stop the indiscriminate cutting of trees. As if this weren&apos;t enough, in Guaviare, unlike other areas of the country, the wood that is harvested does not even have a use within the black market. The Colombian Air Force&apos;s photographs show how the harvested wood rots around the affected areas because it is not put to use. According to sources from the National Police of Colombia, this is due to the fact that transporting the wood is very costly for criminal groups, since these areas have no roads and the closest populated areas are only reachable after five hours of sailing the river. Furthermore, the main objective is to confiscate the lands in order to later extort those who want to use the area for mining, agriculture, or ranching. However, there are illicit activities that also depend on deforestation. One of those is to learn the layout of roads in order to settle near them, and then get economic compensation in the future for having to resettle. This is what has happened with the Jungle Border Highway, a $40 million project that is expected to unite Ecuador, Colombia, and Venezuela by providing an exit by land from the Pacific to the Atlantic, without crossing the Andes Mountains. Groups of people were bribed or forced to resettle because of where the road would be built. They began to indiscriminately cut down the trees in Puerto Cachicamo and El Capricho, both of which are in Guaviare. Trees were also cut down in Nueva Colombia and La Tigra in the municipalities of Vista Hermosa and Puerto Rico, in the department of Meta. The goal was to get millions of dollars in compensation from the state once the road construction began. These resources would end up in the hands of Los Puntilleros, The Gulf&apos;s Clan, and dissidents from the FARC. Although there is a large underreporting of the wood that is trafficked in Colombia, the number of lumber confiscations by the police is staggering. Between January and May of 2017, police have seized 36,251 cubic meters of wood in the country, which is enough to fill about 1,647 trucks. Every time a truck illegally transporting wood is stopped, the driver is either asked for a letter of safe passage if the wood comes from a native forest, or is asked whether the removal was ordered by the Colombian Agricultural Institute if it comes from a commercial forest. If they do not comply with either of those conditions, the wood is seized and moved to the Association of Regional Autonomous Corporations (CAR), which works to prevent further damage and open an investigation. At the same time, a criminal proceeding is opened and can lead to four to nine years in prison for the trafficker. However, once the trees are cut down, the damage is irreversible. "It is very important to create a reforestation plan in the affected areas to counteract the environmental impact and avoid the proliferation of drug trafficking and other criminal activities in the area. To avoid deforestation, it&apos;s very important that the Public Forces [of Colombia] and the environmental authorities establish efficient channels of communication," González says. If the deforestation is not halted, the most "beneficial" thing that can happen with the wood is that it ends up being used as furniture for the Colombian government through an inter-institutional agreement with the CAR.